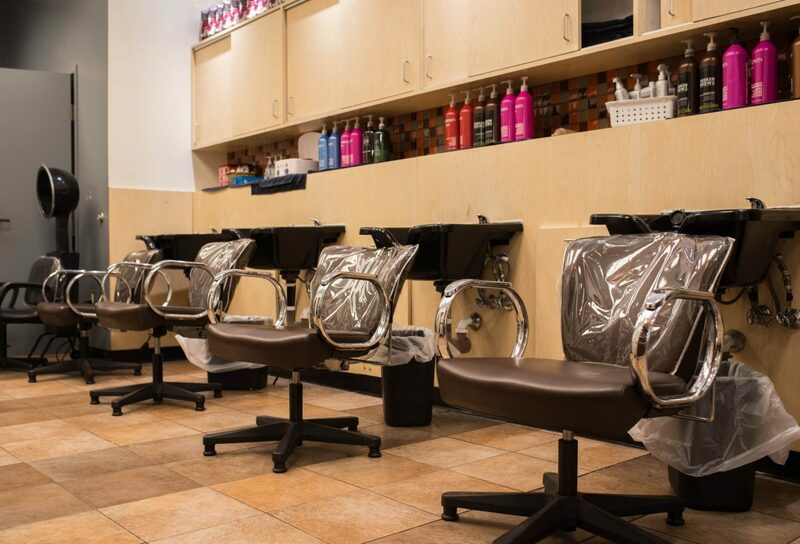 Yes, the Redken Shine Bomb is totally worth the moolah, especially since Hair Cuttery’s offering new guests 50% off with code 22142 for any color services. You can get a semi-permanent glazing like I did or get your hair dyed for a VERY reasonable price. I’ve actually never dyed my hair, but I jumped at the opportunity to treat my mane because it needed the extra oomph. ‘Tis the season for holiday parties, which means I’m taking extra special care of my hair. 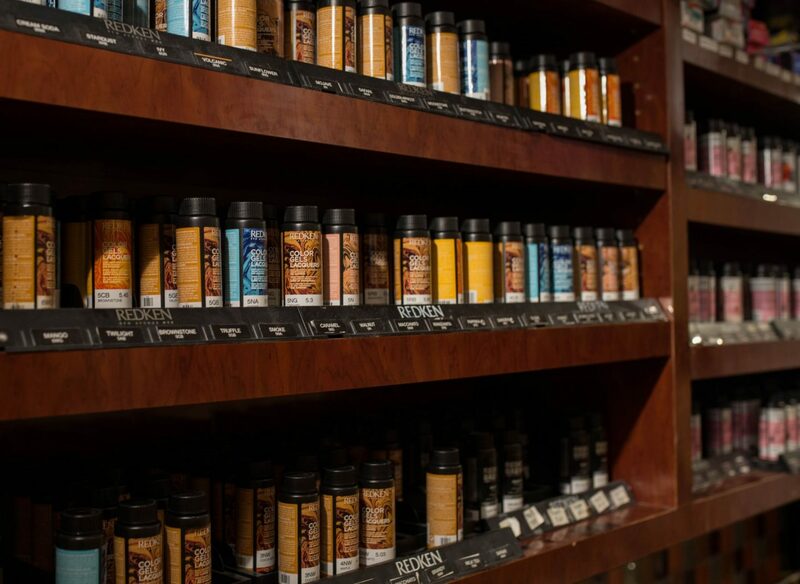 Diet is crucial when it comes to personal upkeep. Omega 3 is important, but I’m not big on fish so I take supplements on the regular on top of eating foods like chicken, turkey, eggs, cottage cheese, dark leafy greens (think spinach and kale), and bananas. The aforementioned noms all contain different nutrients (ex. biotin, folic acid, zinc, vitamin B) that one needs for a lustrous mane. Remember, you are what you eat so be mindful. Now, even if you’re eating right all day every day, your hair’s going to need some extra help. This is where Hair Cuttery comes in! 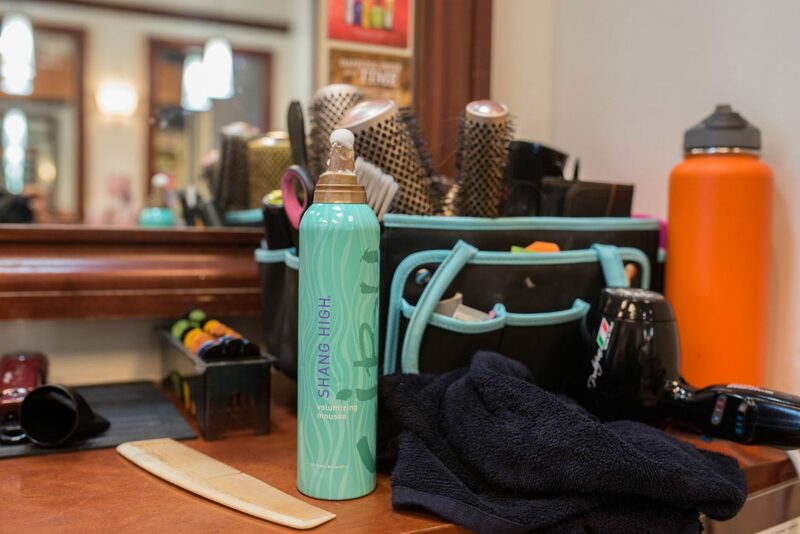 Not only is the Redken Shine Bomb effective, it’s feels luxurious. The holiday season can be stressful so why not take a half hour out of your day to get some well-deserved R&R? I went to the salon in Hanover, MD, and Stacy (the lead stylist there) did me right. The treatment was $34 – that means it’ll only be $17 for YOU with the discount code 22142 – and it was worth every penny. I also got a shampoo + blow dry because #treatyoself! So, here’s how it went down. I let Stacy know – she’s my go-to stylist at the Hanover location – that I wanted to get the Redken Shine Bomb service, and she promptly took me to the back to wash my hair. I don’t know what it is, but it feels SO good to get my hair shampooed. Ok I lied, I know what it is. It’s basically a scalp massage soooo what’s not to like, right? Ha. Stacy then applied a Redken’s Shades EQ Gloss and worked that into my hair. She let the product seep in before conditioning further and rinsing. The whole process took about 20-30 minutes, and I felt pampered the entire time. My hair has never felt better, and it’s super soft, like I catch myself touching it for fun pretty regularly, lol. Here’s a salon shot for you guys! This is where Stacy treated my hair. 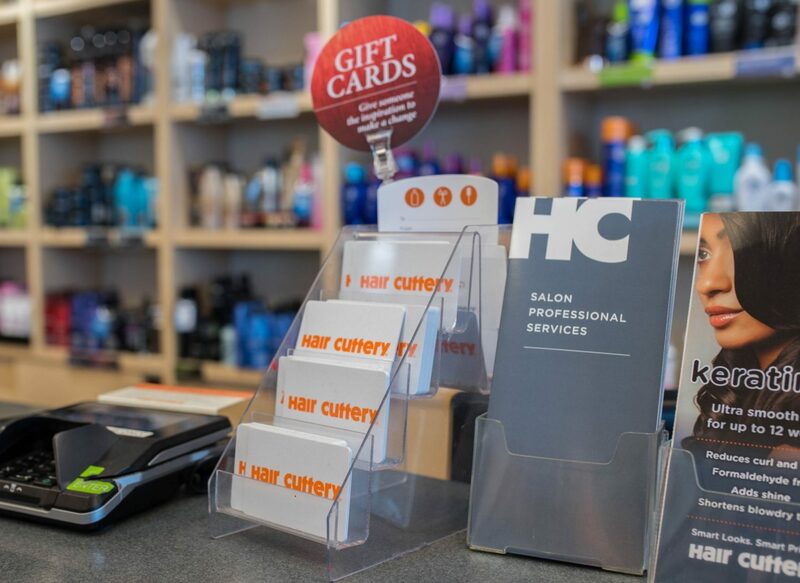 On top of offering bomb styling services, Hair Cuttery sells a bajillion different products. If you’re looking to spoil someone this season, I highly recommend getting them a gift card! They can pamper themselves like I did or purchase products they love. They carry like every major brand so they’ll have lots to choose from. So, what do you guys think? Would you be down to get a Redken Shine Bomb treatment or nah? Definitely let me know by leaving a comment below. On another note, I hope you’re ready for a slew of fancy dress posts. Like I said earlier, ’tis the season for holiday parties so I’m sharing lots and lots of inspo with you guys. I have a ton of fun content lined up on top of my regular OOTD posts so keep and eye out. I know I usually only post on Mondays and Thursdays, but I’ll be blogging much more frequently this month so check back often. Until next time, friends! A huge thanks to Sung Shin for the beautiful photography and Hair Cuttery for sponsoring this post. 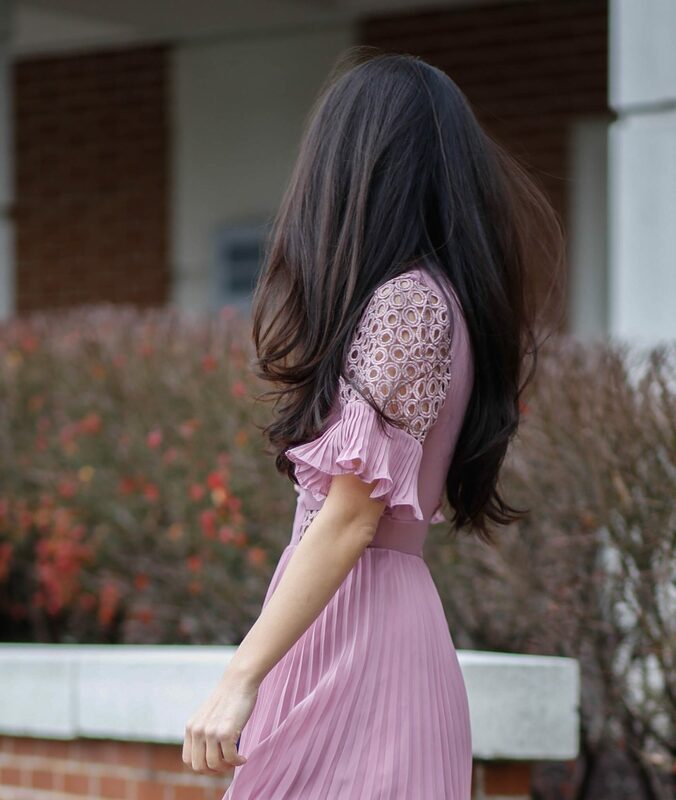 For more on hair, click here! You look fantastic in your pink dress! Flawless from head to toe! That color is so beautiful.